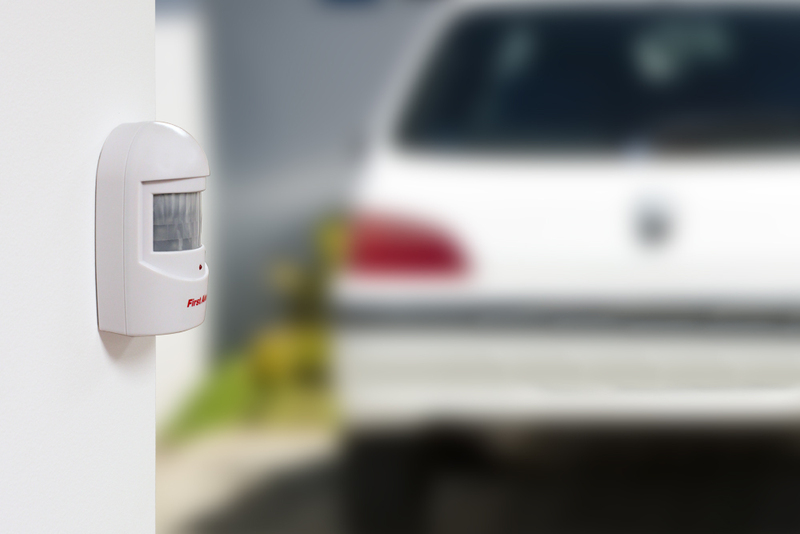 Know when someone is approaching your home before you see them with the FIRST ALERT™ SFA600 Wireless Driveway and Intruder Alert system. 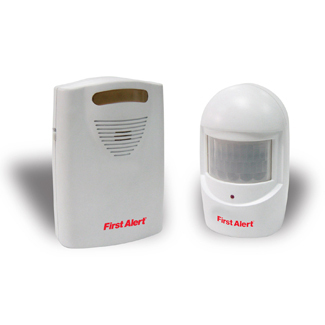 This wireless remote sensor and receiver can be placed anywhere and will transmit up to 300 feet apart. The receiver will alarm or chime when the sensor detects movement. This device is easy to set up and simple to use. Adjust the sound to high or low, know when batteries need replaced with a battery low indicator for both transmitter and receiver, and place the sensor outside because it's water resistant. Eliminate blind spots in your driveway and be informed when unwanted intruders or animals are near your house. This security device offers protection like a complicated alarm system for a fraction of the cost. The FIRST ALERT SFA600, keeping you aware, keeping you safe.